Are these the fitteds that you’re looking for? 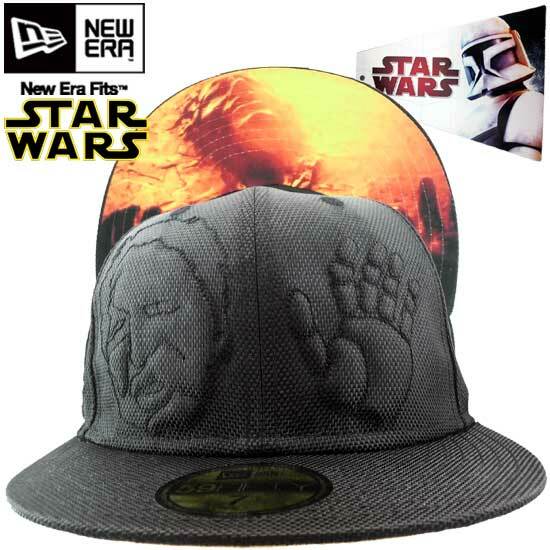 Star wars fans, the Dark Side of the Force is strong with this limited edition New Era Korea release. If you missed out on the amazing Star Wars x New Era collaboration in 2009, you will now have the chance to add the Boba Fett and Jango Fett 59FIFTYs to your collection! Just don’t tell Chewbacca Fitted these caps are once again floating around the galaxy. He has still not fully forgiven New Era Japan, New Era Europe and Boba Fett Fitted for what they did to his homie Han Solo. These two bounty hunter fitteds look similar to the caps from the 2009 drop, except much shinier. We currently don’t have much more info about this release, but we’ll let you know as soon as we do. May the Force be with you. Lets hope they make some in the U.S soon. Japan, UK, then Korea and HK, Come on New Era. Make a updated Chewbacca, or Ewok, or Jawa…or Something! !